I was recently asked to provide some more information about medusa worms in one of the forums, and while searching the web to provide some links, I realized that there is very little information out there about the biology and aquarium care of these fascinating animals. So, I decided that I would take this opportunity to write a column about one of my favorite critters to try to provide some information about these interesting animals. OK, granted they are probably not as colorful or attractive as many of the animals that we find on coral reefs, and to most people they do look pretty much like a worm. But ever since I first saw one, back while cruising the local pet shop in high school, I have always had a soft spot (my wife tells me it is between my ears) for these animals. 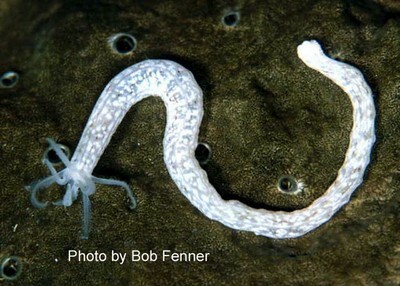 Regardless of whether or not they are the prettiest of reef organisms, I have always been fascinated by Medusa worms! I think that given the appropriate conditions and care, the unique body form of these animals, combined with the pinnate feeding tentacles and high level of activity make for an attractive and popular addition to many reef aquaria. I’ll get to what the appropriate conditions and care are by the end of the article, but I should start off by explaining that the name is misleading, as medusa worms are not worms at all, but rather are legless (Apodid) sea cucumbers. These animals are members of the Family Synaptidae in the ClassHolothuroidea and the Phylum Echinodermata. Although medusa worms generally don’t look much like an echinoderm, other members of the Phylum Echinodermata ought to be very familiar to most reef aquarists. The roughly 7-10,000 living species of Echinoderms have a diverse arrangement of body plans including: sea stars (Asteroids), brittle stars (Ophiuroids), sea urchins (Echinoids), feather stars (Crinoids) and the group to which medusa worms belong: the sea cucumbers (Holothuroids). One thing that links all these diverse body forms includes a complex water vascular system that is composed of a series of fluid-filled canals that allow them to move via hydraulic action. The most obvious components of this hydraulic system to us as aquarists will be the muscular podia (which are often sucker- tipped, and better-known as tube feet), that the animals use to move around. If you’re interested in more information about the general biology of these groups, I suggest that you pick up a good invertebrate zoology textbook, such as Bruscaand Brucsa (1990) or Ruppert and Barnes (1994). Sea cucumbers are all members of the Class Holothuroidea, but members of this Class can be surprisingly different from one another. Within the Class Holothuroidea, there are three sub-classes: the Dendrochirotacea (largely suspension-feeding sea cucumbers such as the popular sea apple, Pseudocolochirus spp. ), the Aspidochirotacea (largely deposit-feeding sea cucumbers such as the popular tiger-tail cucumber, Holthuria spp. ), and the Apodacea (the unusual group of legless cucumbers to which the medusa worms belong). Unlike the other Classes of echinoderms mentioned above, in which the mouth is on the “bottom side” of the animal, the sea cucumbers all lie on their side, and the mouth is located at the “font end” of the animal. Although both ends generally look pretty similar to the casual observer, the sure way to identify the head is to see the oral tentacles with which the animal feeds. Depending on the species of sea cucumber and what they eat, these oraltentacles can be either stuck out into the water column to suspension feed, or applied directly to the substrate to deposit feed. The legless synaptid cucumbers fall into this latter group, and are the most active deposit feeders of the Holothuroids. That tends to make the head end of these animals quite obvious, because they almost always have their feeding tentacles extended as they move about in search of particulate detritus to eat. Now although I mentioned above that tube feet are one of the unifying characteristics of the echinoderms, these Apodid sea cucumbers are called “legless” because they lack obvious tube feet. In this case, it is because the ancestor of these cucumbers actually had tube feet, but they have been lost through time in this group. That is not to say that they are always absent: some Apodid cukes really do lack any detectable vestiges of tube feet, but in many species the tube feet are simply reduced to the point that they are not really visible. It is also important to note that aside from their lack of tube feet, most apodid cucumbers lack the respiratory tree and most of the associated structures characteristic of the other sub-classes of sea cucumbers. Instead, these animals tend to gain oxygen and expel carbon dioxide primarily across the body surfaces. 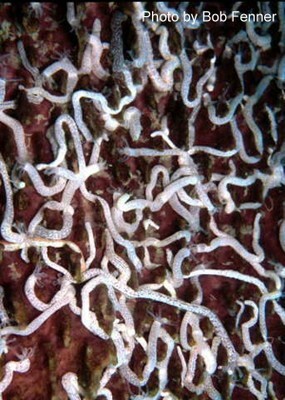 Because these animals lack a respiratory tree and the associated tubules of Cuvier (defensive structures with which the most potent toxins of sea cucumbers are associated), they are relatively nontoxic in comparison to some of their more potent relatives such as the sea apples ( Pseudocolochirus spp.) and spotted sea cucumbers (in particular, Bohadaschia argus and Actinopyga agassizii ). The Cuvierian tubules commonly found in species of Holothuria, Bohadaschia, Stichopus and Actinopyga liberate a highly toxic saponin compound known as holothurin. This compound acts to quickly stun and even kill potential predators, which areeffectively asphyxiated (suffocated) by the toxin. The toxins of some of these species are so effective that South Pacific island cultures use the macerated bodies of these sea cucumbers to stun and capture fishes, crabs and lobsters as a method of traditional fishing (Frey 1951; Ruppert and Barnes 1994)! Despite the fact that the medusa worms lack these structures and are considered ‘relatively non-toxic’ by comparison to many of these species, this does not mean that they are by any means non-toxic. For example, the beautiful sea apples (e.g., Pseudocolochirus violaceus and P. tricolor ) also lack these Cuverian tubules, but along with Bohadachia argus and Actinopyga agassizii, are considered among the most toxic sea cucumbers in the world. 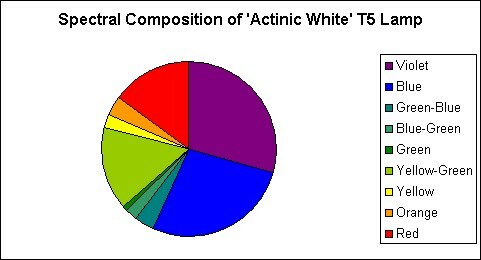 In fact, according to Wilkens (1998), it takes only about 1g of tissue from any of these particularly toxic species to poison the fish in a 25g tank. These toxins also affect humans, and many people suffermoderate to severe skin and eye irritation if they come into contact with these toxins (Cunningham and Goetz 1996). Some cases in which toxins came into direct contact with the eyes have resulted in blindness, and deaths have even been reported in cases where people have eaten these animals without the proper preparation. In the most general terms, virtually any soft-bodied animal that would make easy prey on a coral reef, such as these sea cucumbers, will typically be defended in some way by distasteful chemicals or physical armament, and medusa worms are no exception. Like virtually all sea cucumbers, they are soft- bodied, lacking any real physical armament, and so they all tend to have a variety of nasty chemicals associated with their bodies to deter predators from feeding on them. 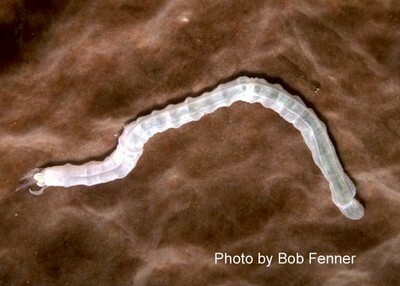 Even without the Cuvierian tubules and their potent toxins, medusa worms have a variety of distasteful chemicals associated with the skin and body wall to protect them from being eaten by fishes, crabs and lobsters on the coral reef. Although the specific toxins associated with synaptid cucumbers are somewhat different from those of most other cucumbers studied to date (Kuznetsova et al. 1989; Ponomarenko et al. 2001), these animals are still reported to be highly toxic to fishes in marine aquaria if they areseriously injured (e.g., Delbeek and Sprung 1994; Fenner 2000; Michael undated online; Sprung 2001). In general, toxins are only released when the cucumbers are under severe stress (such as being chewed up after being sucked into a powerhead or overflow grate), and a diligent aquarist will usually prevent this from ever happening, and therefore never experience any problems with one of these animals. If however, and accident happens, and the cucumber is stressed severely enough to release its chemical defenses, then a good water change, together with an efficient skimmer and some activated carbon are usually sufficient to prevent any fish from asphyxiating from the soap-like holothurin. I will not detour further into the chemical defenses of sea cucumbers in this article, however I may come back to the subject another time. Medusa worms get their common name because they resemble a giant worm from which a “mop” of feeding tentacles is constantly being slapped across the substrate before being drawn into the mouth. These animals are impossible to positively identify by anyone other than an expert, and even then it usually involves knowing exactly where the animal was collected, and likely killing the animal and examining internal structures to be certain of the species identification. Therefore, chances are that you’ll never know which species have been imported when you see one offered for sale in the local pet shop. The most common genera to be imported for the aquarium trade are Euapta, Synapta, Synaptula or Opheodesoma. All of these animals look fairly similar, being rather soft and flaccid, with large rounded knobs (sometimes likened to a string of pearls) along the length of the body. All of these cucumbers seen in the pet trade are typically shallow wateranimals (most species are rarely seen below 50ft), but although they look fairly similar to our eye, they can have dramatically different biology and care requirements. Although they are not usually an obvious presence on most coral reefs, apodid sea cucumbers are a common member of virtually all coral reefs throughout the Caribbean and Indo-Pacific. Many species can get quite large (some species can exceed 6 feet in length!). The reason that such a large and ubiquitous member of coral reef communities is only infrequently observed is that they are almost entirely nocturnal (only active at night). In the aquarium, however, they often lose this strict nocturnal schedule and are often seen cruising around the tank in full daylight (I will come back to this issue later in the article). Despite the similarity in appearance, these animals have a wide range of feeding habits. For example, the Caribbean Synaptula hydriformis appears to be primarily a generalist herbivore, feeding primarily on diatoms, with the occasional piece of red or green algal detritus ingested when they can find it (Martínez 1989), and these animals are common in a variety of habitats including coral reefs, sea grass beds, mangroves, and even inland salt-water lakes (Hendler et al. 1995; Pawson 1986)! Other species, such as Synaptula lamperti, are highly specialized feeders which are only associated with living individuals of the sponge Ianthella basta (which I have never seen offered for sale in any pet shop). These cucumbers live by ingesting tiny organic particles and exudates from the surface of the sponge, and appear to require these specific sponge metabolites to defend and nourish it (Hammond and Wilkinson 1989). These two species of Synaptula appearfairly similar, but obviously it will be much easier to accommodate the first animal in an aquarium than the second! Other species, such as the Caribbean Euapta lappa, are generalist detritivores that cruise the sea floor at night collecting any tiny particles of organic detritus within a given size range from the reef rubble and base rock structure. Some species appear to graze from a wide range of sediment types and particle sizes, while others are highly specific (Hammond 1982a). For example, Leptosynapta multigranula, graze organic detritus from only carbonate sediments of varying sizes, while other species, such as Leptosynapta tenuis or L.crassipatina appear to feed effectively only while burrowing through very fine sands and muddy bottoms (Hendler et al. 1995). In some areas of the South Eastern US, Leptosynapta tenuis are the major consumers of detritus, and in suitable habitats, Ruppert and Fox (1988) estimated that these cucumberscan process as much as 25 metric tons of sediment per hectare per year! In contrast, Chiridota rotifera is found actively grazing detritus from surfaces of tide pools, sea grass beds, calcareous algae, coral rubble fields, coral heads, and sandy mudflats – not exactly what anyone would consider a habitat specialist. The primary problem with getting any of these animals, however, is that you cannot identify them by yourself, and will therefore have no idea of which species you are buying. That leaves you with no option but to trust your supplier about its care and requirements. 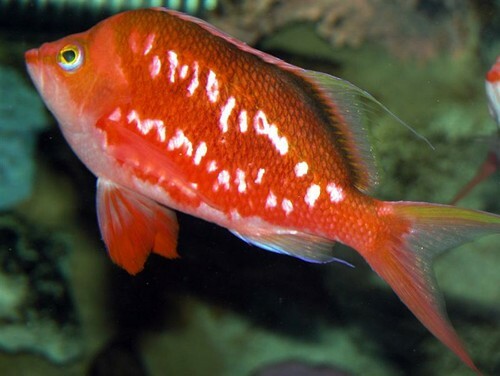 That is easier for some people than others, and depending on how reliable and knowledgeable your supplier is you may be able to obtain a generalist detritivore that will thrive in a well- established reef aquarium. If, however, you simply purchase an animal at random, there are more specific feeders than generalists in this group. Therefore, you have a fair to excellent chance that you will get a species that is a highly specific feeder, and for which you may have no way to provide food. For this reason I generally recommend that people avoid buying one of these animals unless they can first determine what they feed upon. Furthermore, the few studies that have been done on the feeding habits of these animals indicate that they are very active feeders, and being among the most active of echinoderms, they require a lot of food energy. Research indicates that regardless of whether or not they are active, these animals appear to feed only at night (Hammond 1982b), and food processing is very rapid – particles ingested by the cucumber are voided from the gut within only about 1 hour! Even when animals are seen apparently feeding during the day, when collected the researchers found that these animals inevitably had digestive systems that were completely empty (Hammond 1982b). This is where I come back to the earlier statement that although these animals are normally nocturnal, they often lose their avoidance of the light and are sometimes seen cruising around the tank in full daylight. Although similar studies have not been done on any animals kept in a reef aquarium for any length of time, studies onnatural reefs indicate that regardless of what looks like normal feeding behavior during the day, they were not actually ingesting any particles, and were therefore not feeding,. We do not know why these animals lose their strict nocturnal schedule in captivity, but there are a couple of likely possibilities. First, the animals may be removed from the predation pressure that they face on the coral reef, and begin to become bolder over time in captivity. This is possible, because I have also observed that the same tends to occur in shallow lagoons and other protected habitats where, in the absence of predators, these cucumbers are found in high density during daylight hours. The other possibility is that the animals are starving to the point that they abandon any semblance of their natural behavior and start to feed during the daylight. If we assume that it is the former explanation, then (like in natural populations) the animals may appear to be active during daylight hours, but areprobably not actually feeding. If we assume that it is the latter explanation, then the animals are doomed to slowly waste away in the absence of sufficient or appropriate food in the aquarium. This is an important distinction, because even if you are fortunate enough to get a generalist feeder, unless you have a well established tank with plenty of fine organic detritus upon which the animal can feed, it is likely to starve to death. These animals are certainly poorly suited to non-reef aquaria or even traditional Berlin-style reef tanks that are maintained with a bare or only slightly covered bottom, and from which detritus is regularly removed. Like most marine invertebrates, these animals are capable of going for long periods of time without food. Many marine invertebrates can withstand several months or more of starvation, during which time they slowly shrink while digesting their internal organs. Depending on the species in question, its initial condition when brought into captivity, and how often it manages to locate a suitable food source within the aquarium, many marine invertebrate species could take more than a year before they succumb to starvation. In addition to the issue of proper feeding, another important consideration for getting one of these cucumbers is that these animals have a highly reduced skeletal system. Like all echinoderms, the skeletal system is composed of a series of tiny calcareous plates (ossicles) embedded in the skin of the animal. In synaptid cukes, these ossicles are reduced to simple hooks called “anchor ossicles” which project through the skin and give the animal adhesion to the substrate (and anything else they touch). Anyone who has handled one of these cucumbers can vouch for how “sticky” they are (due to their tiny anchor hooks snagging into anything they touch), and if you place the animals into a small container (like an aquarium shipping bag) they often get snagged even on themselves! Because they lack the tube feet that other echinoderms use to crawl about, synaptids must crawl about somewhat like an earthworm, and they use a combination of their muscular hydrostatic body and the anchorossicles to crawl around. The muscles in the body squeeze fluids around in much the same way that a water balloon is deformed when we squeeze it in our hand. However, unless there is something to push against, the animal would simply squeeze out and retract into the same location. The anchor hooks of these cucumbers function in much the same way as the bristles (chaetae) of a worm they provide traction against which the animal can push to propel itself forwards. By sticking at their base and “squeezing” their water balloon body into an elongate shape, they are propelled forward. Then, by hooking in at the front end, and releasing the grip at the back, when they relax back into the short-n-rounded water balloon the front end is anchored while the back end is free to be sucked forward to join it. In this way, their flabby soft body allows them to crawl about and extend or retract their body with great flexibility. Again, I would refer interested readers to a good invertebrate zoologytextbook, such as Brusca and Brucsa (1990) or Ruppert and Barnes (1994) for further details. So, with those warnings and caveats, I’ll come back to what I said at the beginning – these really are one of my favorite odd-ball invertebrates in a reef aquarium. It’s not because of any service or function they provide (although some species make excellent grazers or detritivores), but rather because I think that they make such an interesting addition (or at least conversation piece) for my reef aquaria. When possible, I try to find one of the generalist detritivore species, such as Euapta lappa, or a diatom grazer such as Synaptula hydriformis for my tank, because they tend to thrive in a well-established reef aquarium. If you have a moderately large reef tank with a deep sand bed and are feeding plankton on a regular basis, there ought to be plenty of organic detritus for a medusa worm such as one of these species to find. My cuke spends most of it’s time cleaning the underside of the rocks, and only comes out onto the surface of the sand and the rocks atnight. You can supplement it’s feeding by adding a couple of sinking shrimp pellets to the area it tends to hang out just before the lights go out. That will give the pellets time to soften and fall apart before the cuke starts to feed, and mine seems to really like the pellet mush (but so do the hermit crabs, brittle stars, conch, Nassarius snails and polychaete worms, and they all learn what the pellets are pretty quickly as well). If provided with suitable conditions and sufficient food, some of these animals may even be able to reproduce in the aquarium. Unlike most echinoderms, sea cucumbers (holothurians) have only a single, well-developed gonad. In general, the majority of holothurians have separate sexes, but studies on a couple of synaptid cucumbers suggests that at least some of them are simultaneous hermaphrodites (containing both fully functional male and female reproductive tracts). In the case of Synaptula hydriformis, researchers found that these animals are not only simultaneous hermaphrodites, but they are also capable of self-fertilization (Frick 1998). Even more unusual, the fertilized eggs of S. hydriformis are retained within the body (in the perivisceral coelomic cavity) of the adult and actually gain nutrition from the parent, while they develop internally (Frick 1998). The young are protected and nourished in this way until they are released as fully-functionaljuveniles at about 8mm in length. When combined with the generalist diatom grazing of this species (as mentioned earlier), the internal brooding makes for an ideal candidate for aquarium culture. Other species of synaptid cucumbers may also reproduce asexually (e.g., Leptosynapta tenuis – Hendler et al. 1995), and again, detritivores capable of asexual reproduction may make ideal candidates for the aquarium. Individuals of most species also have excellent regenerative capabilities, so that even when they are injured accidentally, if they are otherwise healthy and well-cared for in an aquarium, they are likely to make a full recovery. In fact, Smith (1971a,b) found that healthy animals were capable of complete regeneration from either the anterior or posterior end (head or tail) given sufficient nutrient reserves and appropriate conditions after injury. Obviously chances of aquarium reproduction are greatest in species that reproduce asexually or via brooded offspring. Although roughly 30 species of sea cucumbers brood their young, most of these are cold-water species, and the majority of other species spawn their gametes (eggs and sperm) into the water column to produce larvae. In one study which included four species of free- spawning synaptid sea cucumbers ( Synapta maculata, Patinapta taiwaniensis, Polycheira rufescens and Opheodesoma grisea ), researchers found that all of these animals tend to release their gametes late in the summer (Chao et al. 1995). This same study found that spawning is correlated with summer phytoplankton growth, and the authors suggested that direct or indirect feeding on phytoplankton-derived detritus is a critical component of nutrition required to reach reproductive status in these animals. The mode of larval development in most species of synaptid sea cucumbers remains unstudied.However, for species such as Leptosynapta inhaerens for which the larval development is known, larvae spend a considerable time feeding in the plankton prior to metamorphosing into a tiny version of the adult. For species with this mode of development, successful reproduction in the aquarium is highly unlikely, and even if a concerted effort is made to raise the young, the chances of success are slight (see Toonen 2002 for a detailed explanation of why this is so, and my Home Breeders FAQ for details on how this is done). All-in-all, however, despite how fascinating these animals are, unless you are confident of the identification of the animal, can provide suitable conditions for the animal to feed, and are willing to live with the potential drawbacks of keeping one of these animals in an aquarium, they are not really recommended for keeping in any aquarium. 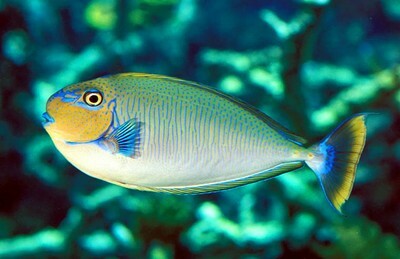 If you have a well-established reef tank, and you take adequate precautions to protect any pump intakes and/or overflow drains, and can locate one of the generalist detritivores that are suitable for the aquarium, I think that these animals make a fantastic addition to a reef tank, because they are both active and fascinating to watch. Chao, S.-M., C.-P. Chen, and P. S. Alexander. 1995. Reproductive cycles of tropical sea cucumbers (Echinodermata: Holothurioidea) in southern Taiwan. Marine Biology 122:289-295. Cunningham, P., and P. Goetz. 1996. Venomous & Toxic Marine Life of the World. Pisces Books, Houston, TX. Delbeek, J.C., and J. Sprung. 1994. The Reef Aquarium, Vol. 1. Ricordea Publishing, Coconut Grove, FL. Frey, D. G. 1951. The use of sea cucumbers in poisoning fishes. Copeia:175-176. Frick, J. E. 1998. Evidence of matrotrophy in the viviparous holothuroid echinoderm Synaptula hydriformis. Invertebrate Biology 117:169-179. Hammond, L. S. 1982a. Analysis of grain-size selection by deposit-feeding holothurians and echinoids (Echinodermata) from a shallow reef lagoon, Discovery Bay, Jamaica. Marine Ecology Progress Series 8:25-36. Hammond, L. S. 1982b. Patterns of feeding and activity in deposit-feeding holothurians and echinoids (Echinodermata) from a shallow back-reef lagoon, Discovery Bay, Jamaica. Bulletin of Marine Science 32:549-571. Hammond, L. S., and C. R. Wilkinson. 1989. Exploitation of sponge exudates by coral reef holothuroids. Journal of Experimental Marine Biology and Ecology 94:1-10. Hendler, G., J. E. Miller, D. L. Pawson, and M. K. Porter. 1995. Sea Stars, Sea Urchins, and Allies: Echinoderms of Florida and the Caribbean. Smithsonian Institution Press, Washington DC. Kuznetsova, T. A., N. I. Kalinovskaya, A. I. Kalinovskii, and G. B. Elyakov. Structure of synaptogenin B, the artifact aglycone of the glycosides of the sea cucumber Synapta maculata. Khimiya Prirodnykh Soedinenii 5:667-670. Martínez, M. A. 1989. Holothuroideos (Echinodermata, Holothuroidea) de la region nororiental de Venezuela y algunas dependencias federales. Boletin Insitutto Oceanografico Universidad de Oriente Cumana 28:105-112. Pawson, D. L. 1986. Phylum Echinodermata. Pp. 522-541 in W. Sterrer, ed. Marine Fauna and Flora of Bermuda: A Systematic Guide to the Identification of Marine Organisms. John Wiley & Sons, New York, NY. Ponomarenko, L. P., A. I. Kalinovsky, O. P. Moiseenko, and V. A. Stonik. 2001. Free sterols from the holothurians Synapta maculata, Cladolabes bifurcatus and Cucumaria sp. Comparative Biochemistry and Physiology Part B: Biochemistry & Molecular Biology 128B:53-62. Ruppert, E. E., and R. Fox. 1988. Seashore Animals of the Southeast: A Guide to Common Shallow-water Invertebrates of the Southeastern Atlantic Coast. University of South Carolina Press, Columbia, SC. Smith, G. N., Jr. 1971a. Regeneration in the sea cucumber Leptosynapta. I. The process of regeneration. Journal of Experimental Zoology 177:319-330. Smith, G. N., Jr. 1971b. Regeneration in the sea cucumber Leptosynapta. II. The regenerative capacity. Journal of Experimental Zoology 177:331-342. Toonen, R. 2002. Aquarium Science: The captive breeding of tropical reef species for the aquarium trade, with specific attention to long-term planktotrophic larvae. Tropical Fish Hobbyist #557:66-72.